Upscale. Advanced. Adept. The 2018 Chrysler 300 is a lavish and powerful sedan that gives the gift of confidence to all those fortunate enough to sit in the driver’s seat. When you take off in the Chrysler 300, you’ll want for nothing. This car provides everything you need to get where you’re going and feel good while you’re doing it. The 2018 Chrysler 300 is available now at Landers Chrysler Dodge Jeep Ram in Norman, Oklahoma. Landers CDJR of Norman customers come in from across the Oklahoma City metro, including Edmond, Moore, Midwest City, Yukon and Del City. Treat yourself to a test drive today. 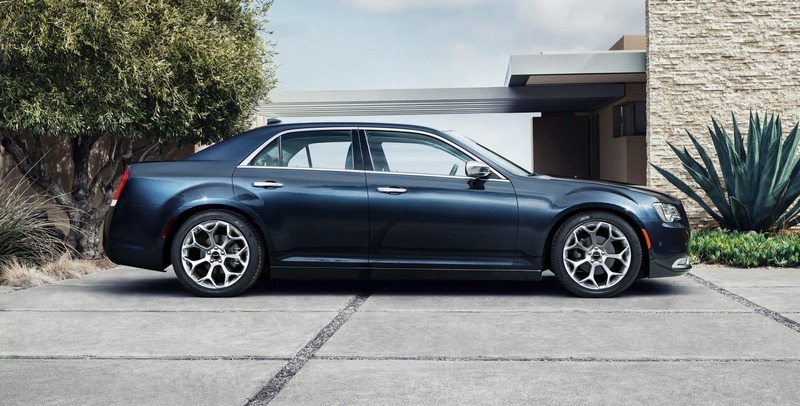 The 2018 Chrysler 300 is defined by bold designs that give the sedan a distinguished look. When you step out of the car, you’ll feel like royalty trying to stay a step ahead of the paparazzi. The 300 offers nine different wheel designs in 17-, 18-, 19- and 20-inch sizes, because wheels define the character of a vehicle. You can upgrade and customize the exterior even more by opting for either the 300S or 300C model. The exterior isn’t the only part of the car that’s customizable, either. On the inside, the Chrysler 300 offers 14 different interiors to choose from, ranging from classic family style to modern luxury. 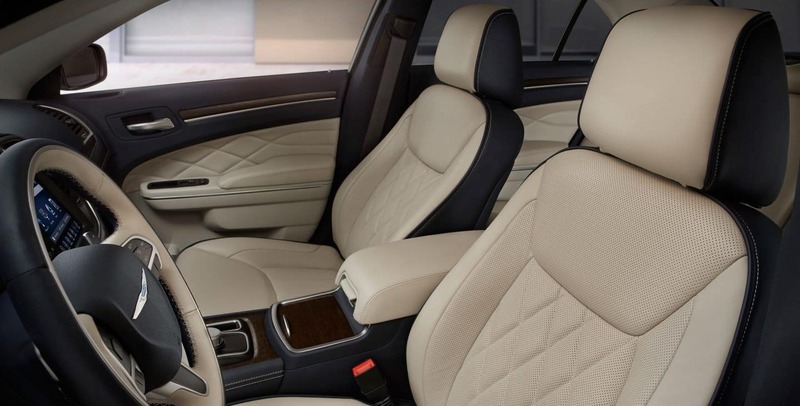 Leather-trimmed seating comes standard on most models, and you can enjoy available heated and eight-way power adjustable front seats as well as available ventilated seats. The ambient blue Driver Information Display and the standard leather-wrapped smart steering wheel add to the wow-worthy aesthetic. The new Chrysler 300 has a futuristic element to it with all the cutting-edge technology and user-friendly controls it features. The Uconnect 4C and available Uconnect 4C Nav puts you in total control. The system features an 8.4-inch touchscreen, which has Android Auto and Apple Carplay compatibility. It also has integrated voice command, Bluetooth streaming audio, SiriusXM satellite radio, traffic reports and more. To make sure you stay connected, the 2018 Chrysler 300 features a media hub that includes two USB ports, an audio jack and a wireless charging pad. You can even play music through the sound system that way, and you can control it via the radio or steering wheel-mounted controls. The Chrysler 300 has an award-winning standard 3.6L Pentastar V6 engine and eight-speed automatic transmission featuring 30 highway mpg. It also has an available 5.7L HEMI V8 engine with 363 horsepower, which happens to be the most powerful available V8 in its class. The advanced all-wheel-drive system seamlessly engages at any speed, to give you the exact amount of traction and control you need based on the conditions, driving style and road surface. Electric power steering makes precise tuning adjustments, so you can enjoy a high-speed highway drive or a low-speed crawl with no problems. 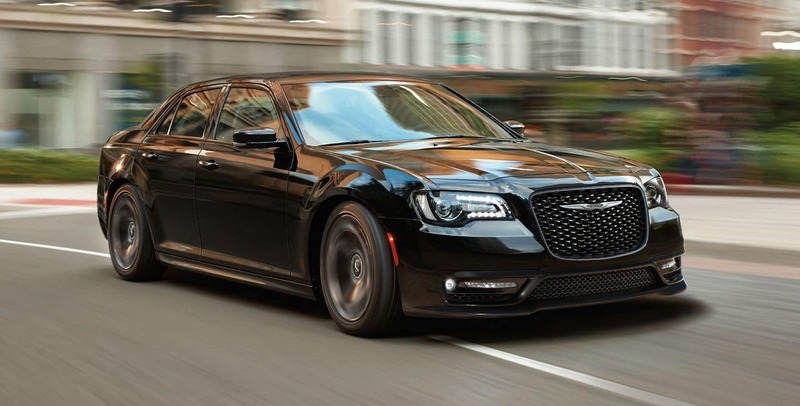 When equipped with the 5.7L V8 engine, the Chrysler 300 also uses fuel-saving technology to detect when full power isn’t necessary, like when you’re cruising down the highway. When you want to kick things up a notch, the available sport mode comes into play. Sport mode increases the accelerator pedal response, raises transmission shift points and calibrates the paddle shifters and electric power steering to sport performance settings. In the 2018 Chrysler 300, you never have to worry about your safety. That’s because the Chrysler 300 does it for you. Nothing is more important than safety, especially when you’re traveling with precious cargo. So you’ll be able to rest easy knowing that your Chrysler always has the best interest of your friends and family in mind. The 2018 sedan offers an abundance of available safety and security features, like Full-Speed Forward Collision Warning with Active Braking. If your car starts to get too close to a vehicle in front of you, the Chrysler 300 will first alert you, then automatically apply the brakes if needed. With LaneSense, your car will alert you of any unintentional lane drifts and will even nudge your car back in place if you don’t respond. With Adaptive Cruise Control, you can set your desired speed and distance from preceding vehicles. If the car in front of you slows down, so you will you — and you never even have to touch the brake. Blind Spot Monitoring makes sure you always know what’s in those pesky blind spots, ParkSense helps you park flawlessly, and Rear Cross Path Detection looks out for cars as you’re backing out. See, what did we tell you? The 2018 Chrysler 300 makes your protection a top priority. 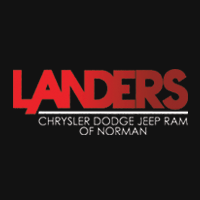 Family owned and operated, Landers Chrysler Dodge Jeep Ram of Norman is the perfect place to get a 2018 Chrysler 300 for you and your family. Come see us to take one for a test drive or check out our inventory online! Browse our new Chrysler 300 inventory online.